Grass-Fed Butter & Coconut Oil: My favorite fats! This won’t come as a surprise to you, but cows were grass fed – and only grass fed – long before you and I were born. Before hormones and GMO’s were introduced into the world of farming and food production. Back in the gool ol’ days, a deep orange butter was a sacred food given as a wedding gift to a newly married couple as a symbol of fertility amongst traditional people. For thousands of years people have been using derivatives of coconuts. Some of the earliest documented evidence for coconut oil uses goes back to the Ayurvedic medicine in Sanskrit from 1500 BC! In traditional medicine, coconut oil has been used to treat a whole myriad of ailments including: asthma, bronchitis, constipation, hormone imbalance, thyroid dysfunction, dysentery, gingivitis, kidney stones, irregular or painful menstruation, nausea, skin infections, and ulcers … among a number of other things! What makes Grass-Fed Butter and Coconut Oil good for fertility? Fat intake is essential in preparing your body for a baby. We need a certain amount of saturated fats to produce cholesterol, the mother hormone. 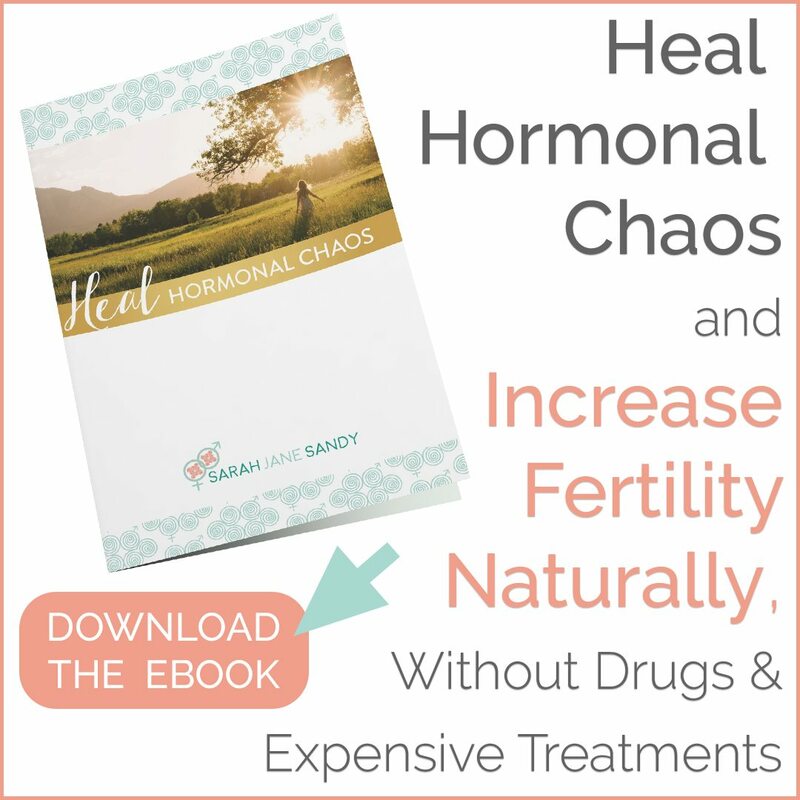 All of our major reproductive hormones – specifically estrogen, progesterone, testosterone and cortisol – are produced from cholesterol. Cholesterol is literally the mother hormone that turns into each of the necessary hormones to make a baby! Saturated fat like grass-fed butter, ghee and coconut oil is vital for balancing reproductive hormones and virility. And, we know that we cannot conceive a child or have a healthy pregnancy without proper hormonal balance. Grass-fed butter (and/or ghee) and coconut oil are amazing healthy fats that provide the building blocks for hormone production. Ghee is made from butter but the milk solids (lactose and casein) have been removed, so most people who are lactose or casein intolerant have no issue with ghee. Grass-fed butter and ghee contain Activator X, a nutrient discovered by Dr. Weston A Price, a dentist who was fascinated by diet and nutrition. He suspected that the western diet of sugar, processed flours and pasteurized milk was to blame for disease, decreased fertility, decaying teeth, and early mortality. In the 1930’s he traveled around the world and visited thriving primitive cultures to learn their nutritional wisdom. Dr. Price studied isolated non-industrialized peoples to establish the parameters of human health and nutrition. During his travels, he discovered this new substance and found that Activator X is fat-soluble substance similar in structure to vitamin A that helps your body absorb and use essential minerals, which is critical for increased fertility. According to Dr. Price’s findings, Activator X was largely present in the diets of incredibly healthy primitive populations who had long life spans, few degenerative illnesses, and little tooth decay. Butter is a rich source of the substance, especially when it comes from cows that are eating fast growing grass during the spring and fall. In remote native cultures this spring and fall butter was reserved specifically for people of childbearing age. 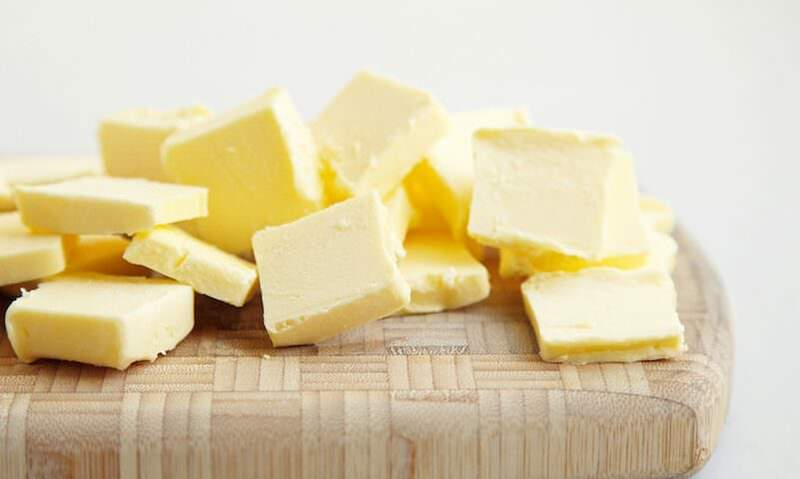 Bright yellow butter – raw and from grass-fed cows – is a wonderful source of fertility-supporting vitamins A, D, E, K2 and Conjugated Linoleic Acid (an antioxidant with anti-viral properties if sourced from grass fed cows). The amazing fats found in butter helps the body absorb and use key minerals like calcium, magnesium, selenium, and iodine. Coconut oil is extremely good for proper thyroid function, which is essential for regulating hormones and ovulation cycles. Coconut oil also helps with increasing insulin sensitivity which is very important for increasing the likelihood of pregnancy and reducing the occurrence of gestational diabetes. Coconut oil contains Medium Chain Triglycerides (MCTs) which are the easiest type of fatty acid that your body can burn for calories, making it beneficial for weight loss. MCTs are a very unique form of saturated fat that have been shown to possess antioxidant and antimicrobial properties to help support the immune system, as well as antifungal, antibacterial, and antiviral immune benefits – meaning that it’ll help you beat that cold or flu that’s causing additional stress on your body. Coconut products also contain a high amount of lauric acid, one of the main fatty acids found in breastmilk that is responsible for building your baby’s immune system properly. It’s important to consume foods rich in lauric acid during pregnancy to improve breast milk’s antiviral quality! Good fats aren’t only essential for getting pregnant, they are also critical for a baby’s brain and neurological development in utero. So, if you’re already pregnant or nursing, it’s doubly important to make sure you’re eating plenty of healthy fats! How should I consume Grass-Fed Butter and Coconut Oil? The easiest way? Cook with it! Both butter (and ghee) and coconut oil can be used to replace your traditional cooking oils entirely. They are much better options! Throw all those vegetable oils and fake-butter spreads in the trash, they are NO GOOD. Get rid of the Pam spray, Canola oil, I Can’t Believe It’s Not Butter spread, Earth Balance, and all the rest. Seriously. Please go do that right now! I like to add both butter and coconut oil to the pan when I’m cooking, so I get the benefits of both! Just make sure you’re always purchasing organic, grass-fed butter or ghee, and organic coconut oil. I prefer cooking with organic, refined coconut oil as it has a very neutral taste. For smoothies, raw treats, and eating off the spoon, I prefer organic, unrefined coconut oil. Butter and coconut oil have high smoke points, meaning they are great for everything from searing fish and meats to sauteing vegetables. Wanna know the best way to get both butter and coconut oil into one easy recipe? Bulletproof Coffee! This is an amazing upgrade to your normal morning ritual. If you’re actively trying to get pregnant, I don’t recommend coffee (or much caffeine at all), but you can use this exact same recipe for making Bulletproof Tea. Just use green, herbal or black tea in place of the coffee. It works just the same :). The addition of grass-fed butter and coconut oil supercharges your brain function, stabilizes blood sugar, sustains energy levels and minimizes sugar cravings. And of course provides more healthy fats in your body which is a total bonus for fertility! What’s your favorite way to use butter or coconut oil? Did you know that you can use coconut oil topically too? It’s GREAT as a daily moisturizer, or even as a shaving “cream”! Does anyone else use coconut oil or butter to replace vegetable oils in baking? If not, you absolutely should! Vegetables oils are TERRIBLE and are never necessary, even if the recipe says so ;). Spread some Grass-Fed Butter and Coconut Oil lovin’! Sharing is caring, and I bet you have some friends who would love to read this too :). 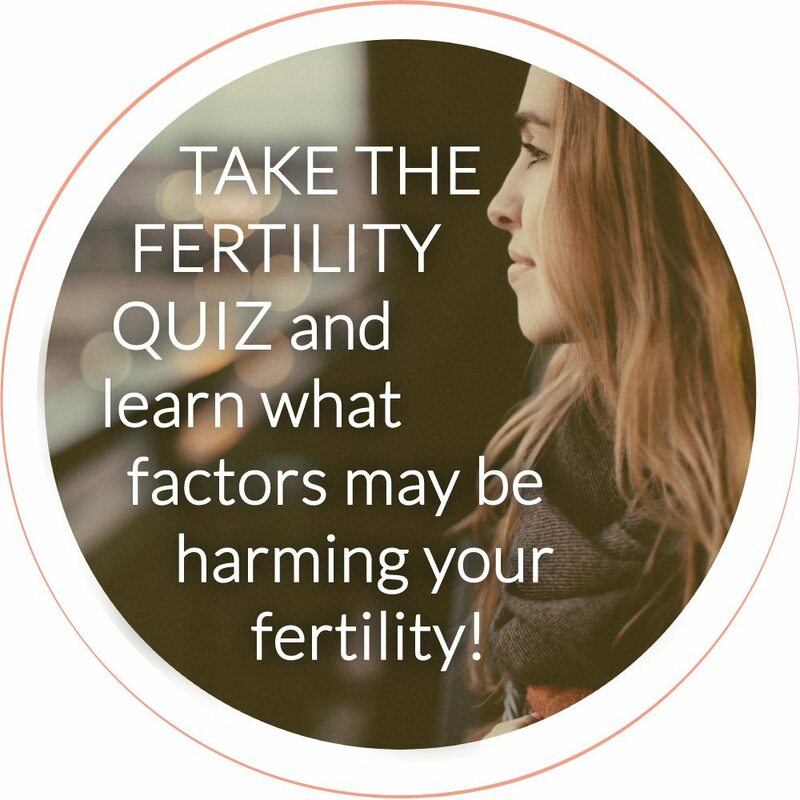 Looking to have a more in-depth conversation about how to improve your fertility? Schedule a consultation with me!